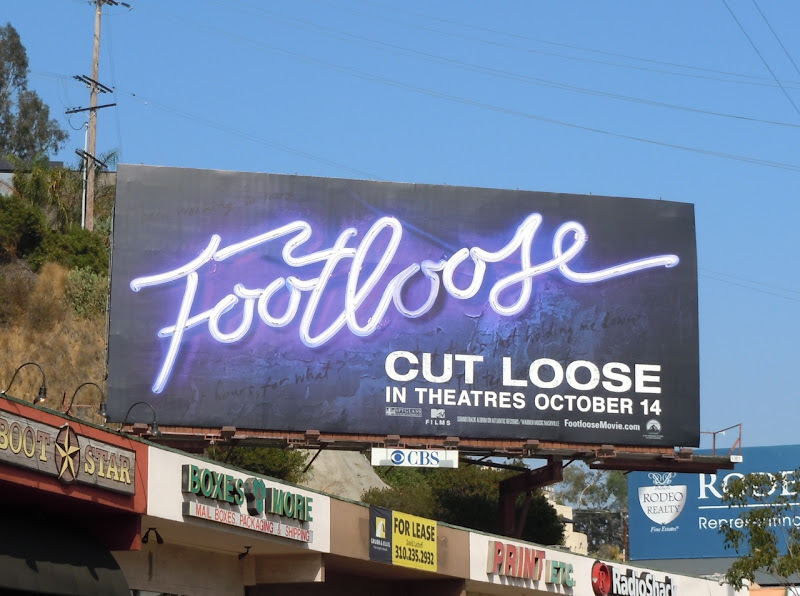 Even though Footloose is getting a 2011 makeover, it's nice to see that it retains an 80's vibe with the film title presented as a nostalgic neon sign. 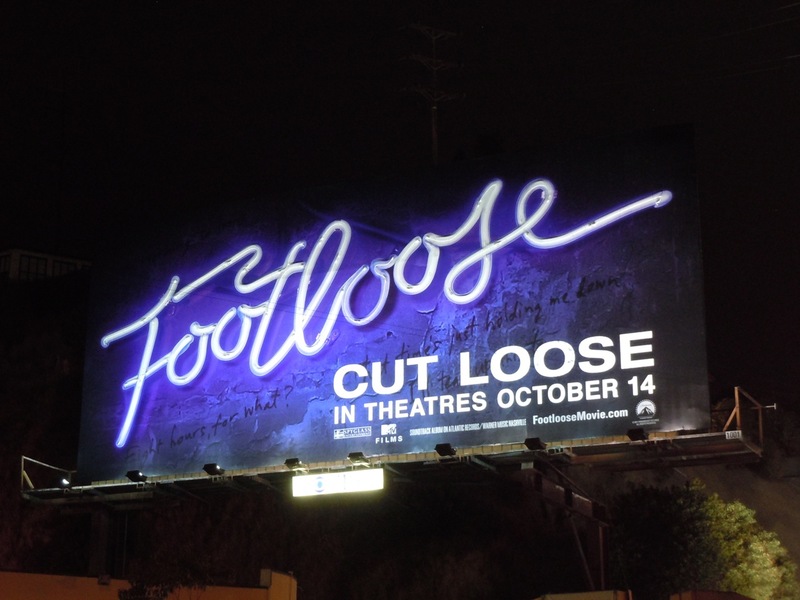 Rather than just a photograph, this version of the Footloose logo billboard has actual neon lighting to help it stand out by day and especially at night. It's quite subtle, but it's still a great idea. This cool creative was snapped along Sunset Boulevard on September 28, 2011. 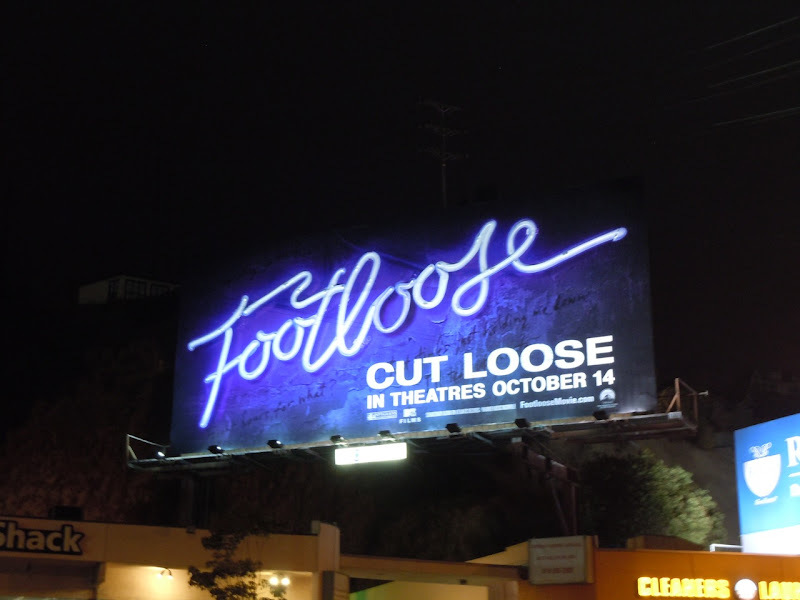 If you like this, be sure to also check out the teaser Footloose billboards and original costumes worn by Kenny Wormald and Julianne Hough in Footloose on display.